A family in Noe Valley wants a butler to manage their house and personal needs, much like the fictional character Reginald Jeeves, the perfect gentleman butler created by author P.G. Wodehouse. 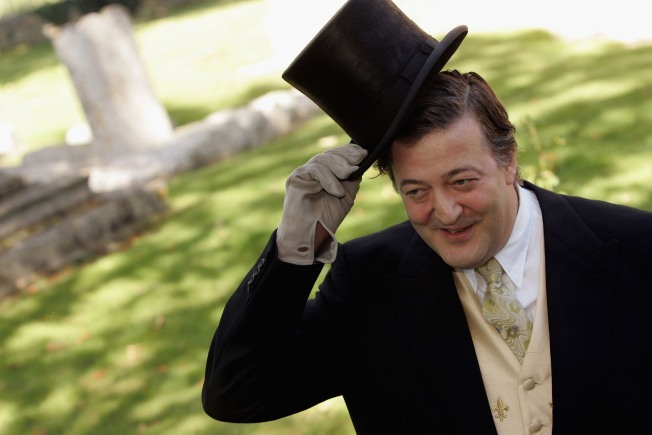 Actor Stephen Fry played Jeeves on television. A high end service job in San Francisco is drawing international attention. A Noe Valley family is looking for a house manager/personal assistant with at least 10 years experience to help run their lives and 10,000-square foot home and will pay at least $175,000, depending on experience, according to The Guardian. "You will be responsible for calendar management for this family of 5 (plus a puppy! ), help with travel planning, restaurant reservations, to running local errands and organizing closets and pantries," reads an ad posted to The Help Company. "We are looking for someone who can set up systems for this new home and organize everything from a gift database to cleaning routine for the housekeeper and groundsmen. If you have the best eye for attention to detail, and love keeping everything in its place and want to work for the loveliest, most loyal client, please send your resume." A background in architecture or art is a bonus as the family owns an "extensive art collection comparable to a museum!" The family is said to enjoy a "simple lifestyle" but also entertains "high profile" international friends. Resumes from across the country are welcome. The Help Company has also posted San Francisco jobs including a manny in Pacific Heights and a full-time personal chef in Cow Hollow. @NellieBowles Nellie, do you think bullying me into an answer is the kind of white glove treatment your new boss expects? Not very butler-y!